What makes a destination a once in a lifetime, can’t miss it, must do everything I can to see it kind of place? It’s a mix of exotic flare, hear about it in the movies, read about it in books, will be etched in my mind forever and a bit of je ne sais quoi. While these types of destinations don’t come a dime a dozen, the world has them in different shapes and sizes and it depends on how and where you want to travel. The good thing about these types of places is that you can’t go wrong. Close your eyes and point to one on the list and you are guaranteed to have the trip that dreams are made of. But if you want to put some thought into which of these once in a lifetime destinations you want to visit, you might ask yourself: if I were to tell my grandchildren one day of the adventures I’ve been on and the places I’ve seen, what would I want to share with them? If it stands the test of time, and these places always do, you can be sure you’ve chosen well For more inspiration on where to travel to iconic destinations, check out my post on “10 places to visit before you die”. Visiting these destinations will make you want to capture every detail and keep it forever. It’s the kind of trips you’ll want to reminisce about and share (or let’s be honest – brag about) with your friends and family. For inspiration on ways that you can preserve your experiences, freeze them and snack on the later, here’s an article on creative ideas to make your travel memories last forever. 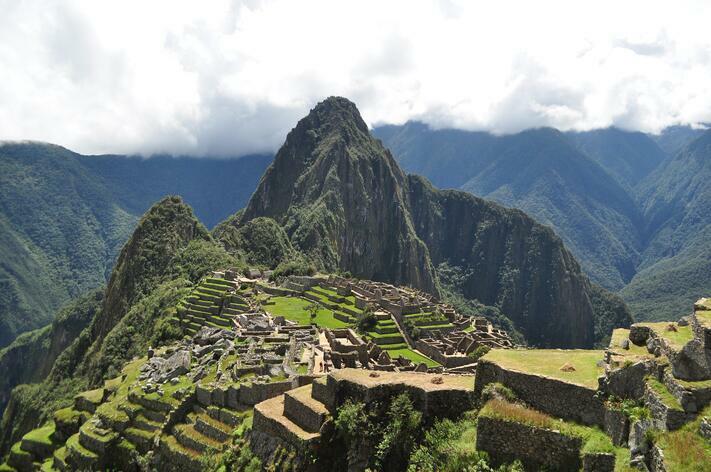 Machu Picchu is an Incan walled city high up in the Andes mountains of Peru. Built in the 15th century, it’s a UNESCO World Heritage site and one of the most breathtakingly beautiful locations on earth. Peeking through the foggy air, you’ll see bright green grass and stone structures. You can hike the Inca trail, through the Sacred Valley, over a period of a few days to reach the peak, or take a train to Urubamba from Cusco and then a bus up the mountain. There is nothing like it in the world and an absolute must-see. (I’ve written more on Macchu Pichcu and other travel destinations in my post about How to Live Your Life to the Fullest). Jerusalem is arguably the most special city in the world. It is a walled city steeped in history and contains sites important to all of the major religions of the world. Make sure to walk through the Souk in the old city. 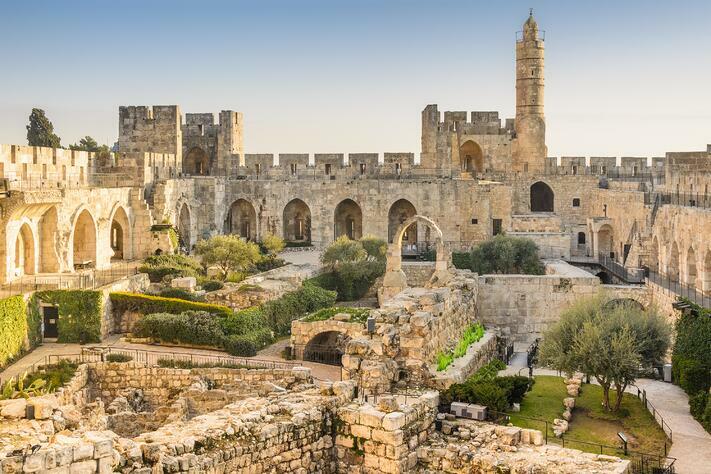 Don’t miss the Western Wall and make sure to do a tour of the tunnel system dating back to the time of King David. Walk Via Dolorosa and see the stations of Jesus’s cross. Visit the Church of the Holy Sepulcher to see Jesus’s Tomb. Don’t miss Yad Vashem, the Holocaust museum. It’s a somber awakening but an important and touching depiction of the fate of the Jews of Eastern Europe and houses testimonials and pictures that will provide a personal touch to what you’ve read in History books. 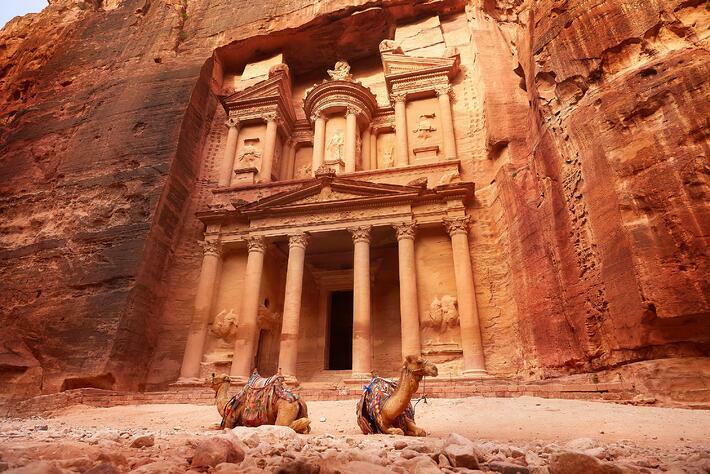 Petra is the stuff of fairytales. This UNESCO preserved world heritage site is located between the Red Sea and the Dead Sea. As you arrive you’ll be exported to another time. The temples and other public buildings, partly built and partly carved into the red rock that echoes the burnt orange sun are impeccably preserved. 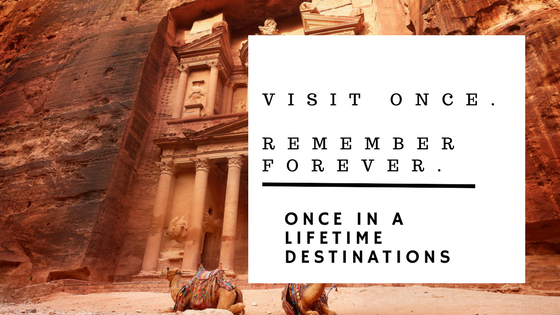 From the ancient Nabatean capital to the Hellenistic and Roman epicenter of trade for spices and silks, this special place is truly one of a kind. If you ever for just a brief moment want to feel like a Hollywood movie star shimmering in gold as you reflect off the perfect sun and emerald painted waters, this is the place to go. Though Corsica is part of France and Sardinia of Italy, they are separated by a few mere miles and can be paired as a perfect vacation. You might find yourself on the white sandy beaches without ever wanting to leave. But, if you choose to explore inland a bit, you’ll find mountains, pine forests and cute villages. 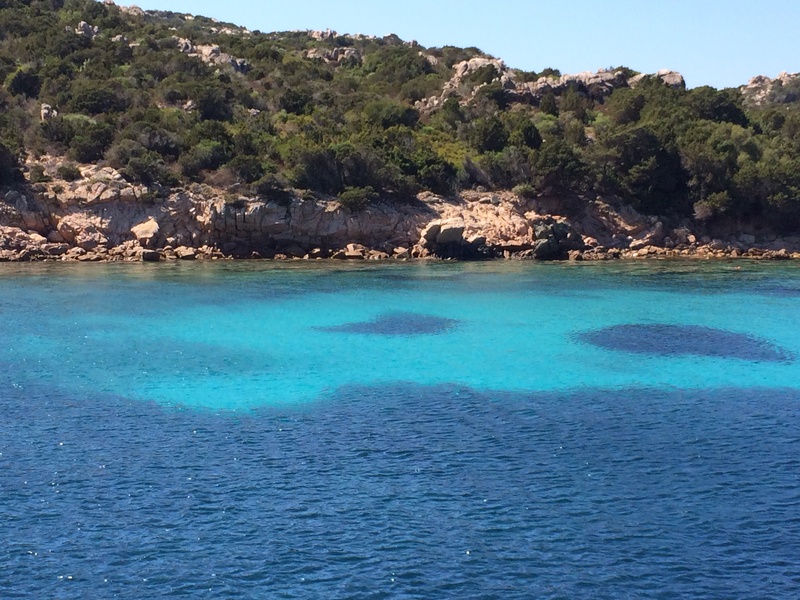 Take a boat to reach the secluded coves and small beaches that you can’t access any other way. This vacation is as simple and luxurious as you can get all at once. Lions and wine are a good mix – and South Africa has both. It hits the adventure and luxury mark in every way. On Safari, you’ll be disconnected from your cell phones and thrown into a world of hierarchical order of hunting, roaming and grazing. Seeing animals in their environment is without question one of the coolest things our planet has to offer. Even for those of us who aren’t nature lovers, you can’t help but be amazed by getting up close and personal with the wildlife. Safari excursions will feed your curiosity and imagination. The luxe campsite or hotels you return to after a day in the jeep will be the needed relaxation in between. Your safari experience is only part of what South Africa has to offer. 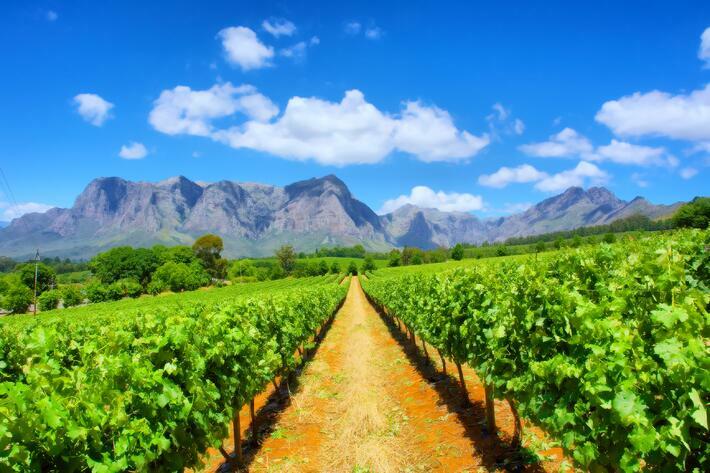 From there, head to cape town and indulge in a weekend engulfed in vineyards to enjoy some of the best grapes that South Africa grows for an experience that rivals Napa any day. These destinations probably sound a bit daunting, far-away lands that are more the thing of dreams than of reality. But that doesn’t have to be the case. The world has gotten smaller. These are just a plane ride away. 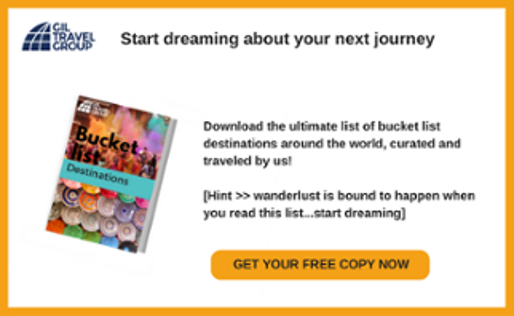 You can do it solo, have it planned a-z by a travel company or just join a boutique organized tour where you can spend your time learning and seeing and not planning. However you choose to do this, enrich yourself just a bit further with a once in a lifetime destination. It’s worth it.